Dyson has started to rest his head on my lap during car rides if I sit in the back row with him. This makes me feel loved and needed. It feels like he is slowly becoming aware that I am his person, his owner, his handler. We cuddled and took at least an hour-long nap together. This was an extremely comfortable and comforting experience. I often have trouble falling to sleep by myself, but with him breathing next to me I fell asleep within a few minutes of closing my eyes. I am so thankful that Little Angels chose this particular dog for me because affection is a trait that’s really important to me. I didn’t care about breed, fur color, etc. 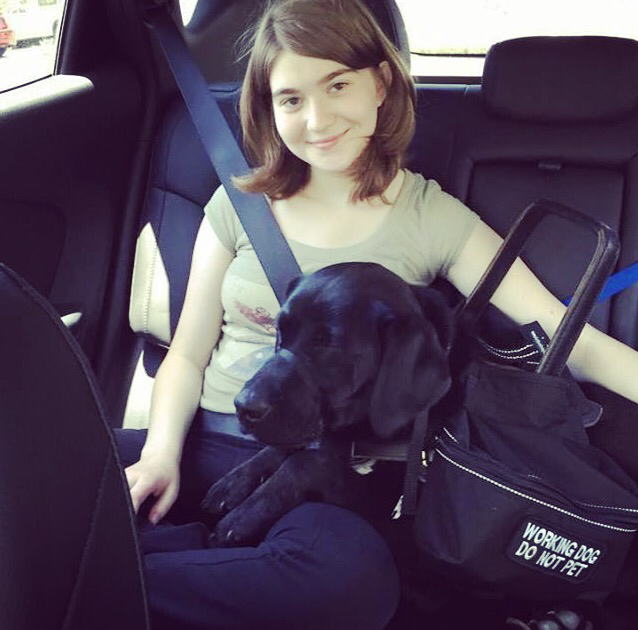 when signing up for a service dog; all that mattered was that he/she would have a sweet personality and love to cuddle. 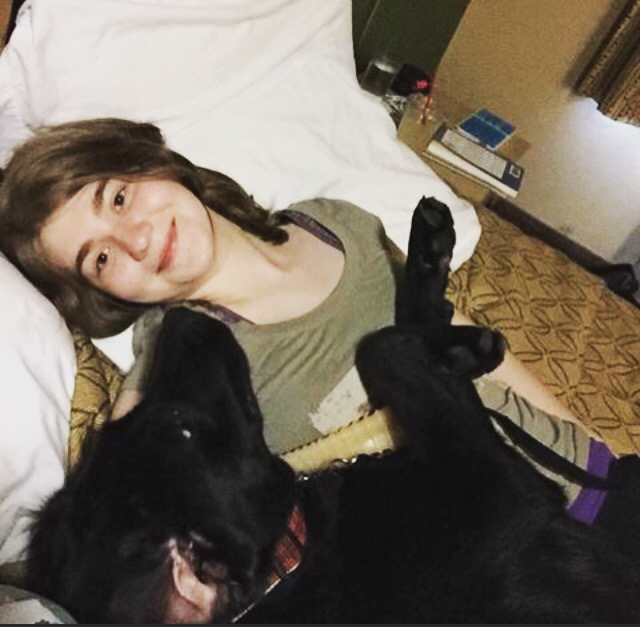 (Truthfully, I also preferred the dog I would be matched with to have soft fur and ears and not be too slobbery, but of course those wouldn’t be deal-breakers.) Dyson is perfect in terms of everything I hoped for in a dog. Note: I didn’t publish a “24/7 Dyson” post for the third day of having Dyson full-time. That’s because we didn’t explore the city or go into any more public places after handler training finished that day. Dyson and I didn’t have any new or noteworthy experiences that afternoon other than continuing to bond more. I really needed some rest time. But casual bonding time is important too! I also finished reading Katie’s book.